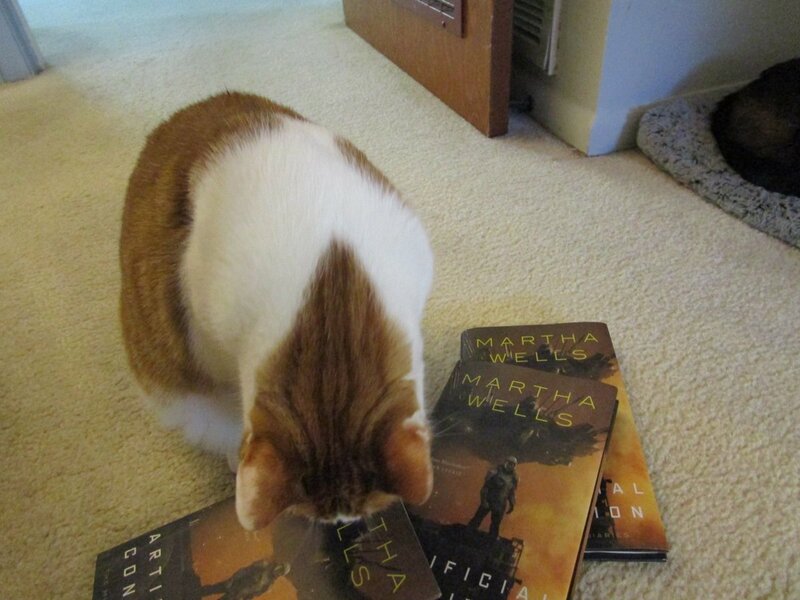 Martha Wells's tweet - "I was trying to take the traditional "cat with newly arrived author's copies" this morning but there was a complete dearth of cooperation and a refusal to sit anywhere with attractive lighting. " 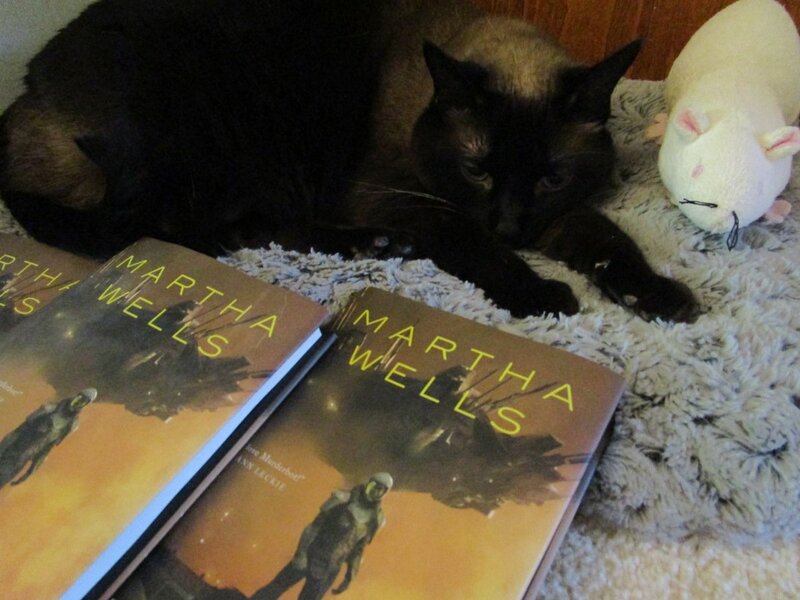 I was trying to take the traditional "cat with newly arrived author's copies" this morning but there was a complete dearth of cooperation and a refusal to sit anywhere with attractive lighting. Yay! This series is amazing. The writing feels effortless, and yet the tale is so complex and nuanced. Just saying you are the best and Murderbot is the best and I can't wait for more. That is kinda remarkably appropriate for Murderbot. The second cat pic works for me. Looks like she can't wait to open the book!